With advancing technology, more and more devices have the capacity to connect with wireless networks. Therefore, setting up a wireless router is crucial for you. In this regard, Techvedic Wireless Setup services can help you. 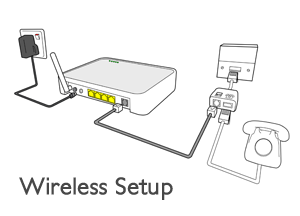 After setting up wireless network, you can access Internet from anywhere in the house. After purchasing the right router as per your needs, you need to connect it to your modem. Through this, you can share your broadband connection with multiple devices. For receiving better signal, place router near to your modem. Connect them with an Ethernet cable. Also, you need to connect at least one computer via Ethernet cable. Afterwards, you can disconnect it to connect wirelessly. You can find the IP address on a label affixed to the router. Open the web browser of the computer which is connected to the router through Ethernet cable. Type the IP address into the address bar and press “Enter.” Also, if you have the installation disc of your router then you can run the configuration program from there. For accessing the configuration page, enter the username and password. Once logged into your router, you can see the main screen of your router. Open wireless settings and enter a unique name for your wireless network. Also, choose your security method and enter a passphrase for the network. After naming and securing your wireless network, click “Apply” or “Save” button. When the configuration process is complete, change your router’s username and password. Furthermore, you can use built-in blocking tools to restrict devices to access some sites. Now, you can connect computer, tablet or smartphone to your wireless network. To use this network, you need to enter the passphrase on your device. Once you have entered the passphrase, your device will get connected to the wireless network automatically. Also, you can connect other devices to this network like printers, gaming consoles, etc. Therefore, you can easily access Internet using Techvedic Wireless Setup services. For any other help, you can contact experts.